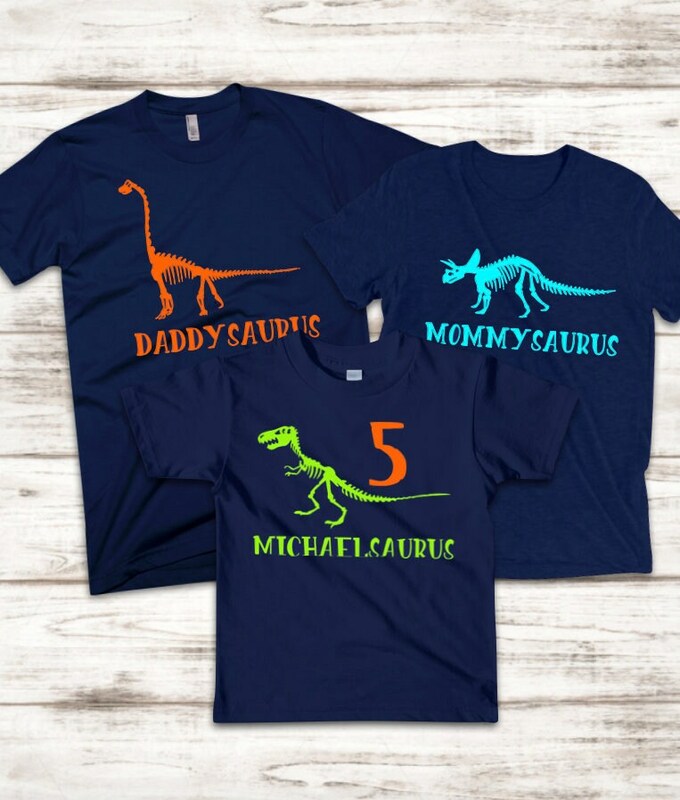 These shirts are perfect for a dinosaur birthday, or cute to wear even after the party's over! 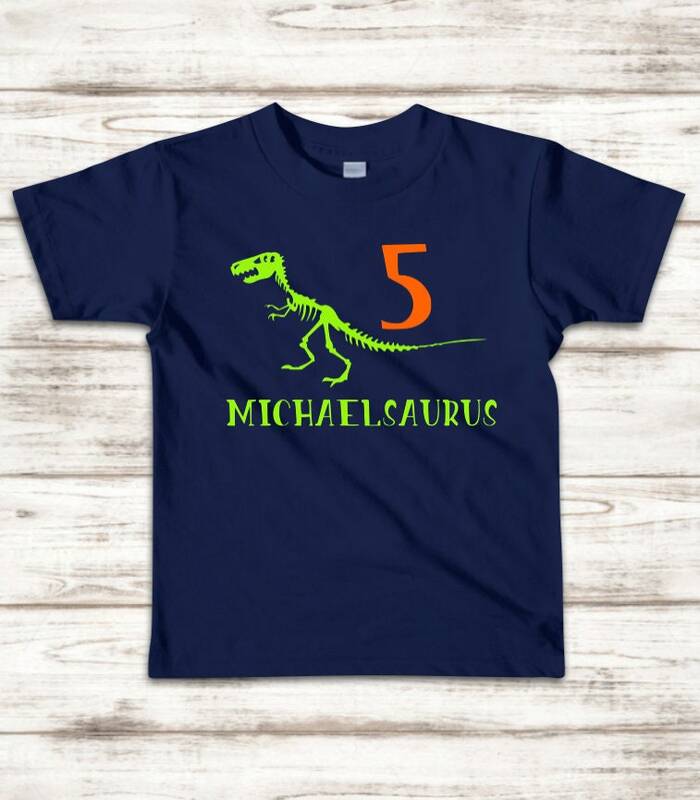 Note: Each shirt is sold individually. Navy short sleeve shirts are finished with neon personalization. 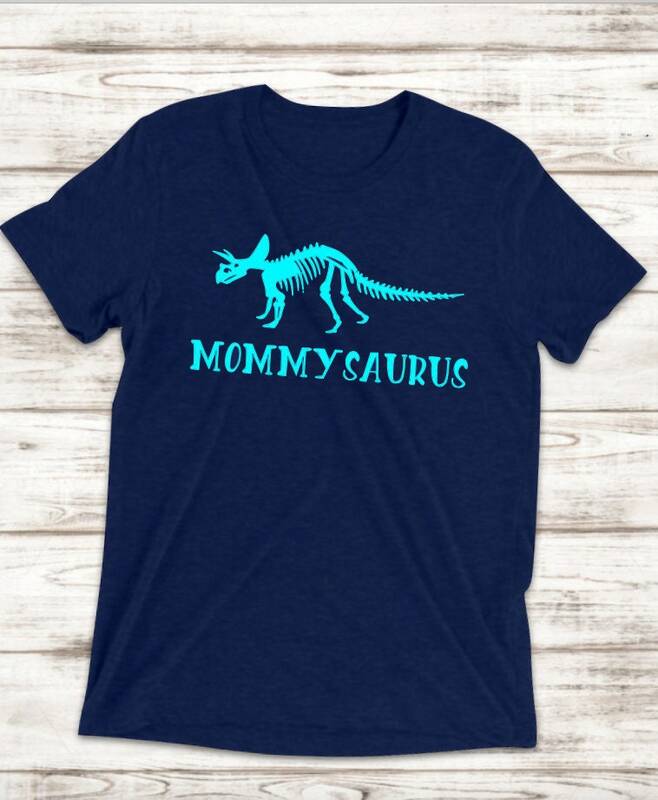 Mom shirt is a ladies' dolman cut in adult sizing, and Dad shirt is men's cut in adult sizing, and Kids' Name shirt is toddler and child/youth sizing. Colors are neon green, orange, and blue, unless requested otherwise. •Do not iron directly on design. Iron inside out or backward on low setting. 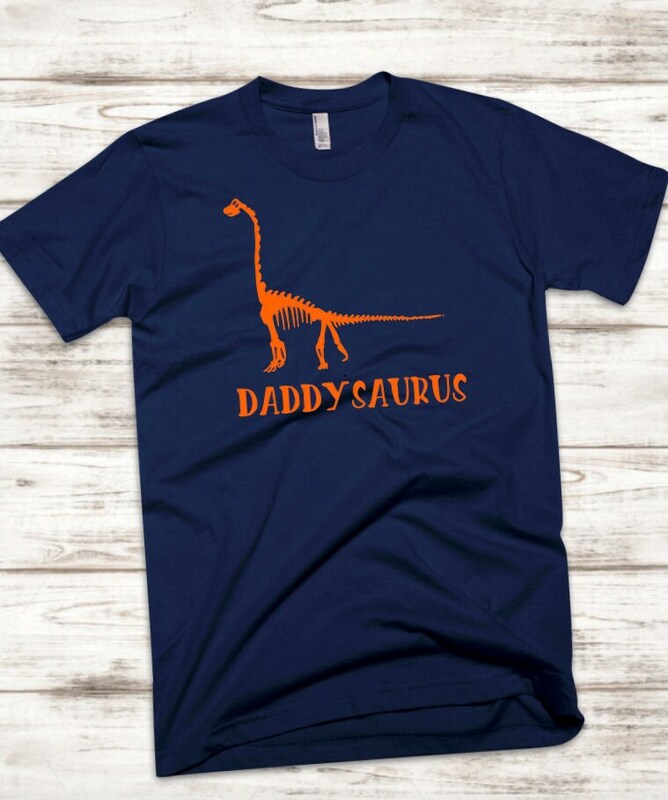 This item is normally shipped within 3-7 business days. This item is shipped with Free Standard 3-5 Day Shipping, unless an upgrade is selected.